Change is always a good thing right? In this case it’s pretty exciting! I have had this blog for about 6 years and have bounced back and forth from a family blog, to not blogging, to sharing some recipes now and again. It wasn’t till March of last year where I started to share more crafts. I have always LOVED creating things, so slowing, craft after craft my blog, brand and overall look started to form and I LOVED where it was heading. After a few months I knew that I wanted to be a DIY blogger, sharing fun home projects, party decor, inspiration and just anything bright and colorful. My blog has finally turned into something I really love! So a name change seemed like the next step. Now don’t get me wrong, I STILL love chocolate…a lot…a lot a lot. You guys, I literally eat it every day. But my blog doesn’t focus on it and I felt it was random when it came to my name matching my content. 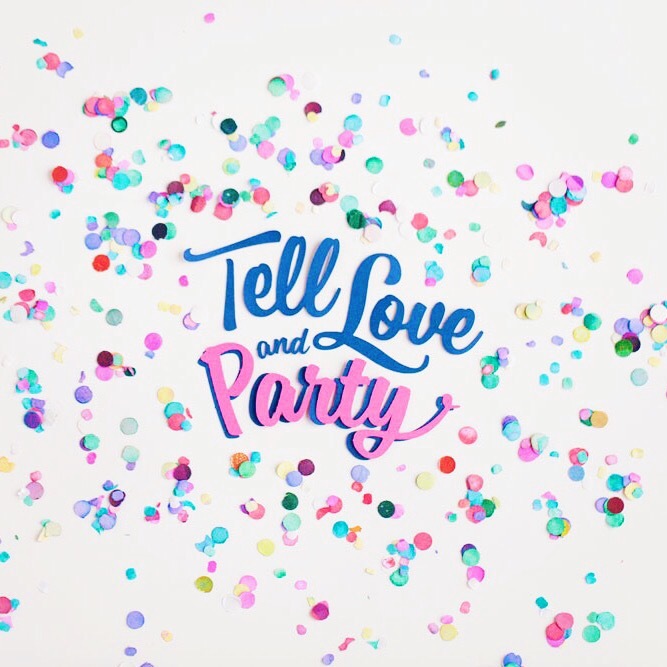 So Tell love and Chocolate was retired and… Tell Love and PARTY was born! I am soooooooo excited you guys! It is just another step in this fun adventure that is blogging. I love all of my readers so much, you have no idea! And I truly love sharing everything I create with you. Thank you for those that have followed my journey over the last couple years and to all my new readers! You guys are truly awesome! So you like the new name??? ;) ha ha cause I LOVE it! Now lets party! Congratulations! I can’t wait to see what you have planned. So so happy for you going through with the name change! Seeing your excitement makes it absolutely clear it was the right thing to do <3 LOVE IT!! I love the new name! Congrats on a big change! I’ve been wanting to rebrand my blog for two years now and am just scared of all the work that goes into it! But I love the new name! Love it! I’ve gone through a few name changes too! It’s so hard re-branding sometimes! But sometimes you just have to go for it! Exactly and they seem to be falling into place for you! Congrats! Cute! I love the new name!